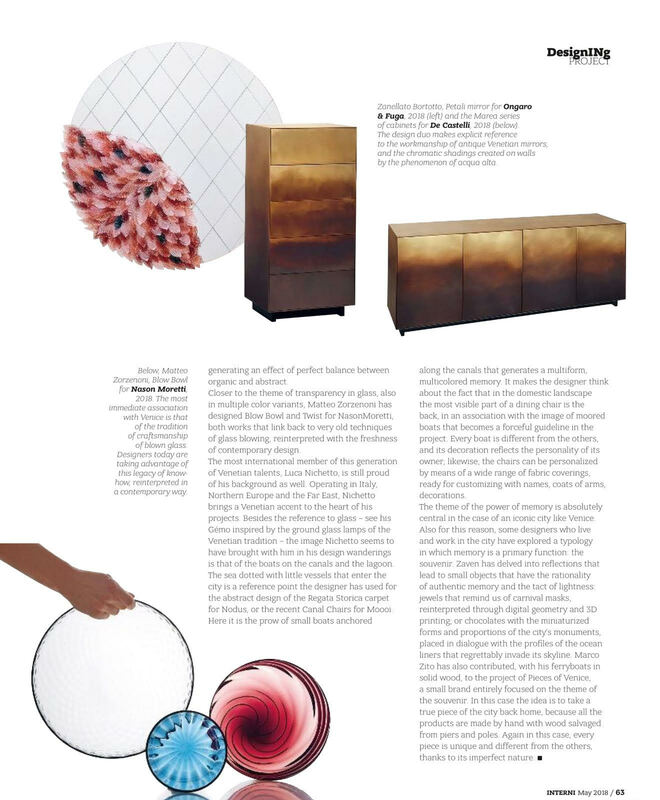 The Ongaro & Fuga is appeared in the Interni Magazine with the Petali Mirror designed by Zanellato/Bortotto. This is the article from the May 2018 issue. 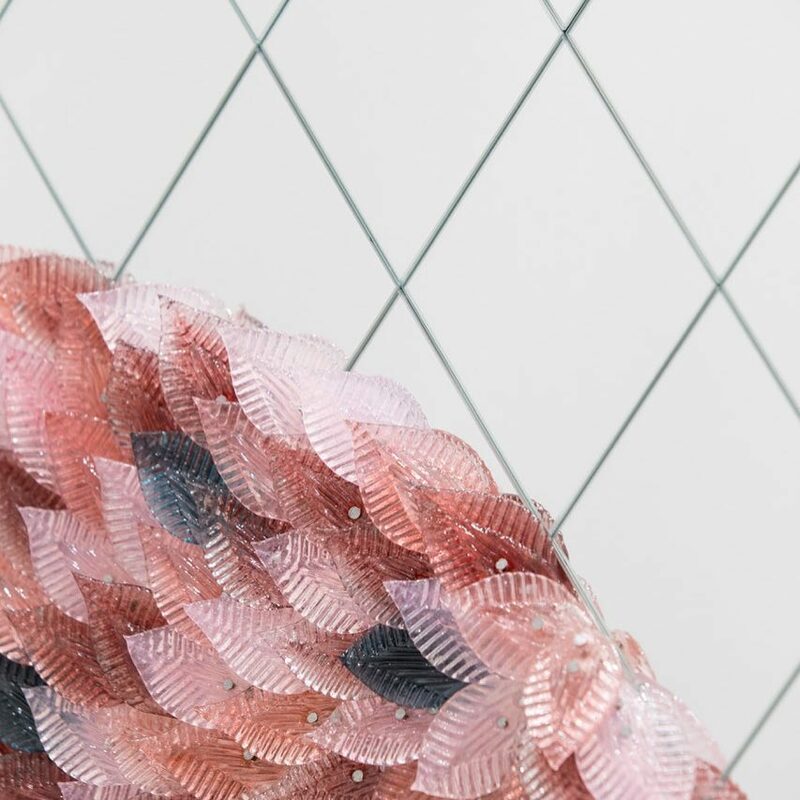 This mirror is handmade and characterized by the use of the typical glass leaves turned into delicate petals with different shades of pink which have been positioned and applied one by one manually. This project represents the perfect result of the union between modernity, art, design, handicraft and Venetian tradition.